Hello friends! 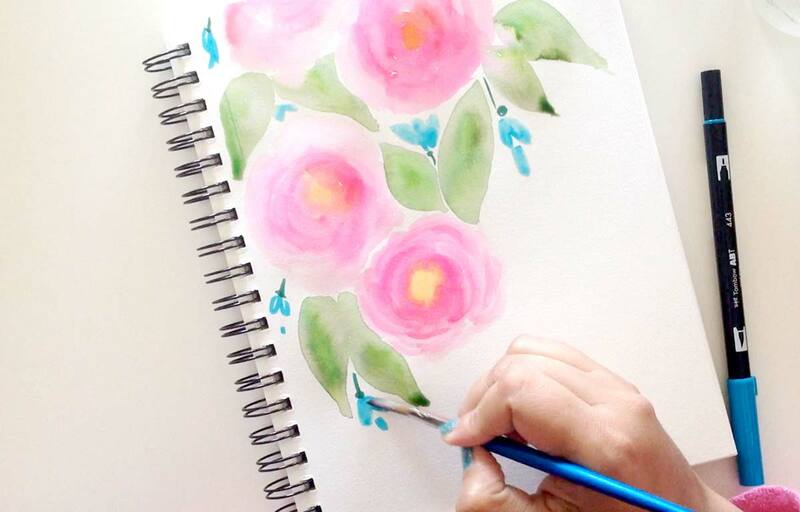 I’m Smitha and today we’ll be painting watercolor roses inspired by Marie Browning! This is an easy watercoloring technique and oh so fun! 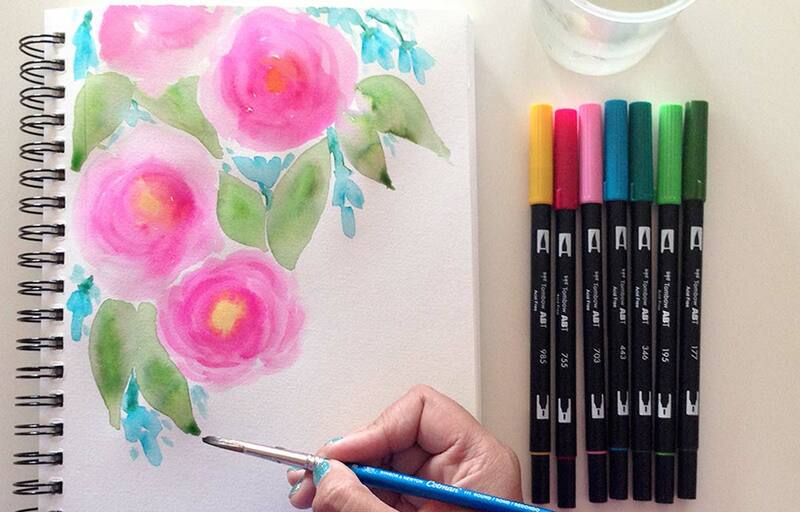 Using Tombows Dual Brush Pens to do your watercoloring is a great way to create these watercolor roses. First we add color onto the page. Using the brush tip of the Dual Brush Pen, draw overlapping semi circles. I used three colors here – a darker pink for the inside petals, a lighter pink for the outer petals and a yellow for the center. Next we paint with water. 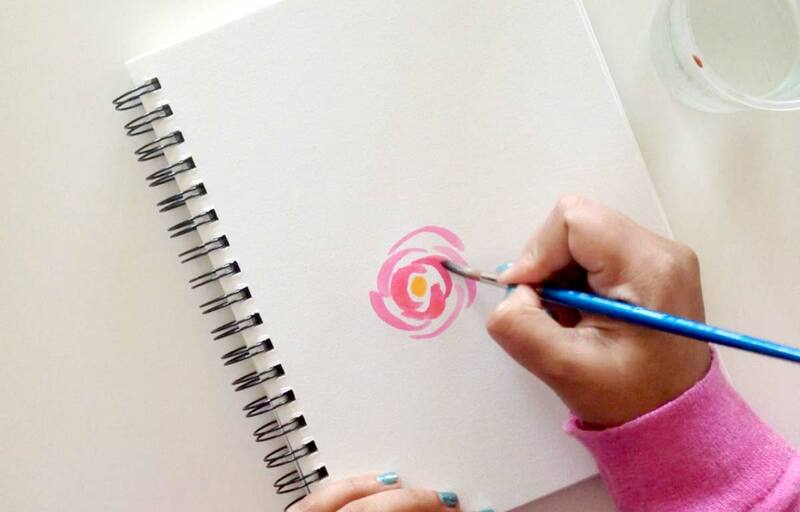 Dip your paintbrush in water and then paint over your petals slowly, dragging the water with the tip of your brush. It really THIS simple. The water moves the color beautifully and does all the work for you. Try leaving a little white space between the petals to prevent all the colors bleeding into one another. 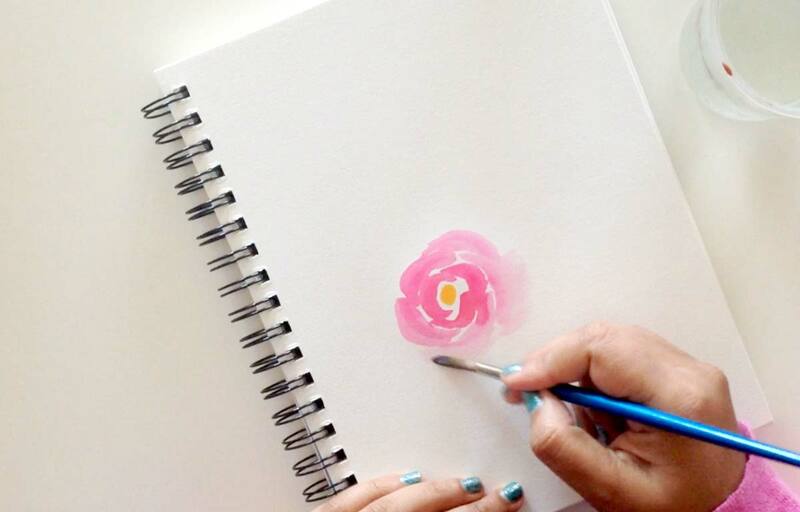 Towards the outside of the flower, using a barely damp paint brush, drag the lightest pink color to create softer airy petals. I love this look and how dreamy the flowers look with this. Once you have the first flower in place the rest is fun! 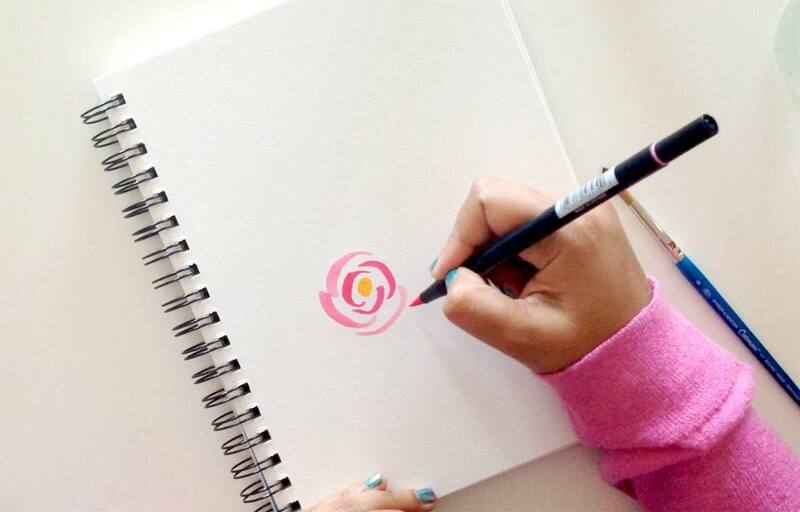 Repeat these steps to create three or four more flowers. And then add leaves. I love adding pops of green, they contrast against the pink flowers. I also added a few fillers flowers to complete this watercolor roses composition. WOW !!! I didn’t know u could do that w/them, how totally cool !!! I just discovered your site. and enjoyed creating roses.